This looks delicious. And seems challenging to pinch the roti while it's still on the pan. Yes, absolutely true.. Initially it is difficult but practice makes you perfect. This looks great. Pinching the hot roti must be difficult Superb share. Yes Sujata . it was a bit difficult.! Traditional recipe. First time, I am encountering this type. Worth to give a try. Like you said, it would be difficult in the beginning to make marks on the roti, while when it's still on pan. Yes Malini.. but I guess we could remove it carefully on a flat plate and put it back after pinching. This is such a unique and fun share Shobha! I want to try making this...mine may not look as beautiful as yours. Great share! Thanks Sandhya dear.. it is not as tough as it looks to be.. even I made it for the first time. So give it a try. Wow, knob roti looks so beautiful. This roti is on my to try list. Pinching the roti while its hot must be difficult. Thanks Mayuri.. yes it was a bit tough pinching the hot roti. Loved your blog. Very informative and wonderful recipes across the country. Thanks a lot for visiting my space and liking the recipes Reena. WoW loved this another variation of roti, it looks beautiful. I have tried this knob version in sweet mathri at my home but I have made these marks before frying with the help of plucker. No this roti is on my to try list. Pinching the roti on a hot pan must be difficult task. Thanks for liking Jolly.. Yes it was a bit difficult to do that. 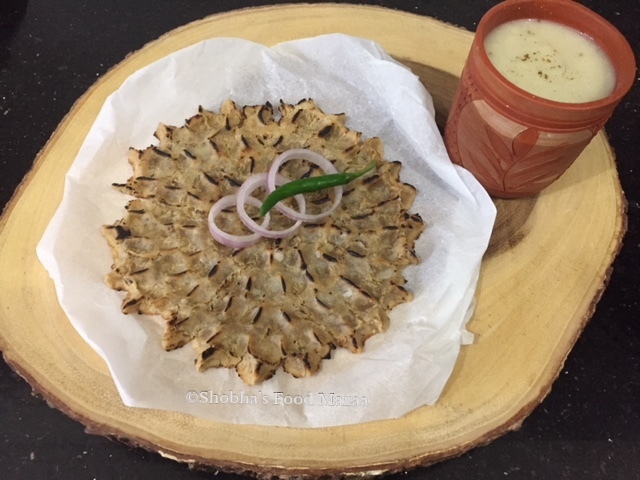 I have always been in love with Rajasthani cuisine and this roti only reminds me that my blog should soon have some recipes from the cuisine. The rotis look beautiful and I am sure delicious in taste. Vidya.. same pinch. I also love Rajasthani cuisine. I have tried out many dishes. A very interesting roti! Good tip to prick the roti for even and quicker cooking. Will try soon! This looks so artistically made but seems to be easy. Nice share. Very interesting recipe. I love the pattern it creates when you pinch it halfway. It makes the roti look amazing. True Lathi.. We can go making so many dishes..list is endless. These khooba roti looking very inviting. must say that it is very hard work making one roti if trying first time. need practice to make them. fabulous work here. Such an interesting design! The way you pinch the roti whilst it is still on the pan is amazing! Thank you for liking .. 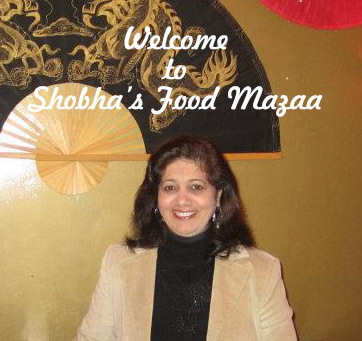 I am yet to try this classic Rajasthani dish, you have nailed it Shobha. Khoba roti looks so delish. I am always amazed at the way the design is made by pinching the rolled dough.Yet to try it. Lovely share. Lovely isn't it.. even I got attracted because of the design made on it. Would love to know your version too.